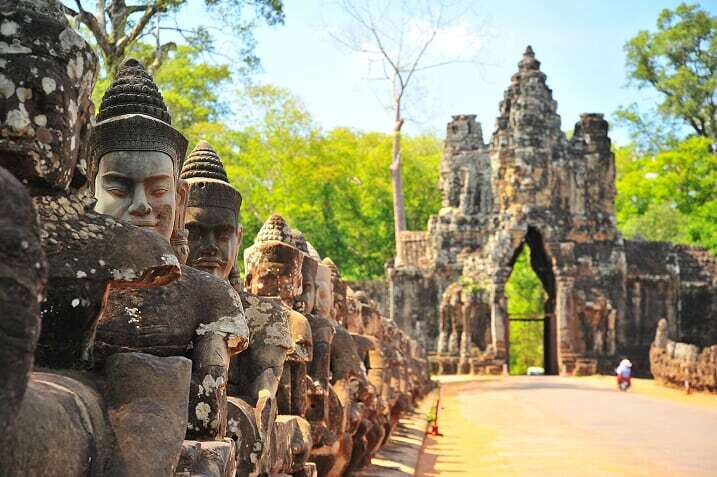 If you currently intend to spend your holiday discovering Eastern cultures within several countries, the Vietnam Cambodia itinerary 5 days will be expectedly one of the effective tools for you to make the right decision. Located in Southeast Asia, Vietnam and Cambodia hold a lion share in cultural and social features. Yet once burying into the life cycle of the two countries, you will definitely be impressed by the distinguished beauty along with various types of enjoyment. These following guidelines provide you a wide range of activities to experience during 5 days and 4 nights going through different regions of Vietnam (Ninh Binh and Quan Lan Island) and Cambodia(Angkor Wat and Kompong Phluk, Tonle Sap Lake). Normally, you can choose common places to spend during your holiday, such as luxury Ha Long Bay tours, or Hanoi 36 old quarter discovery. Yet, this Vietnam best itinerary will take you to some interesting places, that has been becoming tourist attractions recently. a. Where is Quan Lan located? Quan Lan is an island located on Bai Tu Long Bay – one of the most beautiful bay in the north of Vietnam. This place is specifically recommended for families, couples and groups of friends within the summer holidays because most of the ground belongs to the ocean. 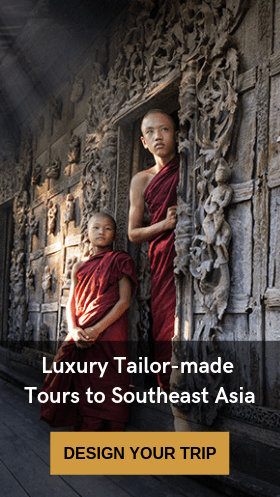 Each year, it attracts thousands of domestic and international visits. 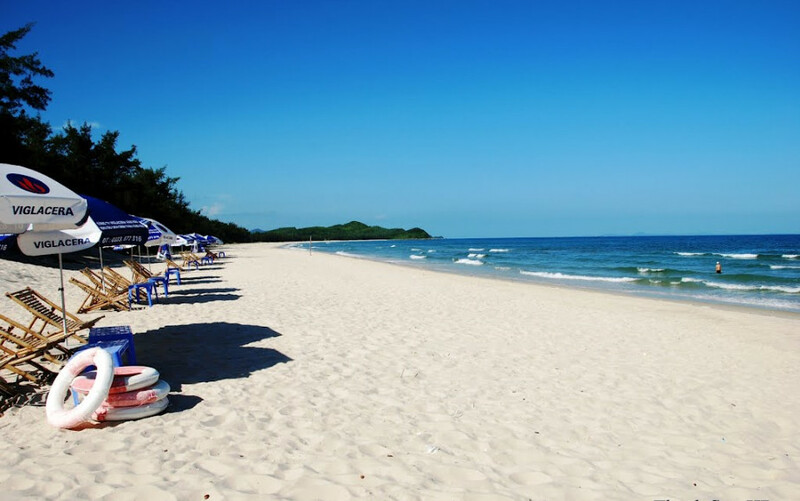 Quan Lan is famous for a spreading line of beaches. 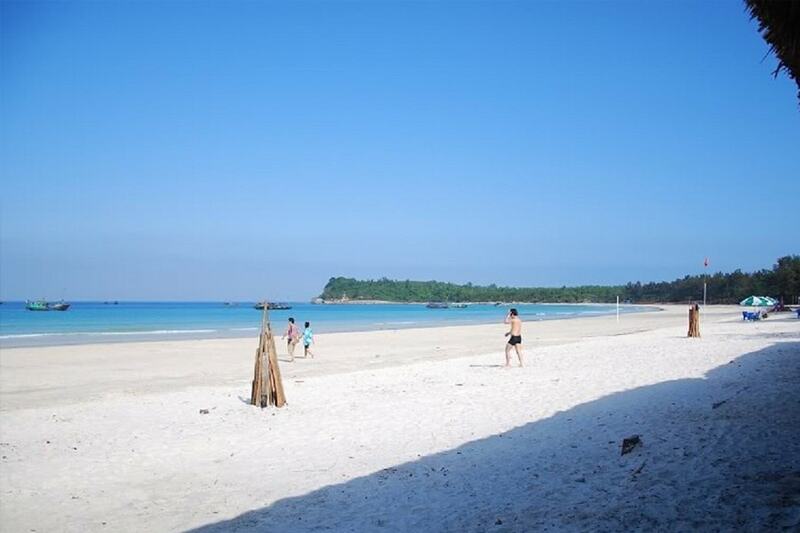 It comprises of 3 wonderful and must-go beaches: Minh Chau, Quan Lan, and Son Hao. Minh Chau is considered as the cleanest and freshest places within the regions because of its nature, while Quan Lan has got a whole square of wonderful reefs nearby. Son Hao, on the other hand, brings tourists the sense of wilderness when they first put their step there. Son Hao owns itself a picturesque river with white sand and a large and long-lasting pine forest, giving you the mixed feeling of beach voyage and mountain journey. Quan Lan is also well-known for the one-in-three worth-visiting destination – a special mountain where you can come and enjoy the sunrise sightseeing. 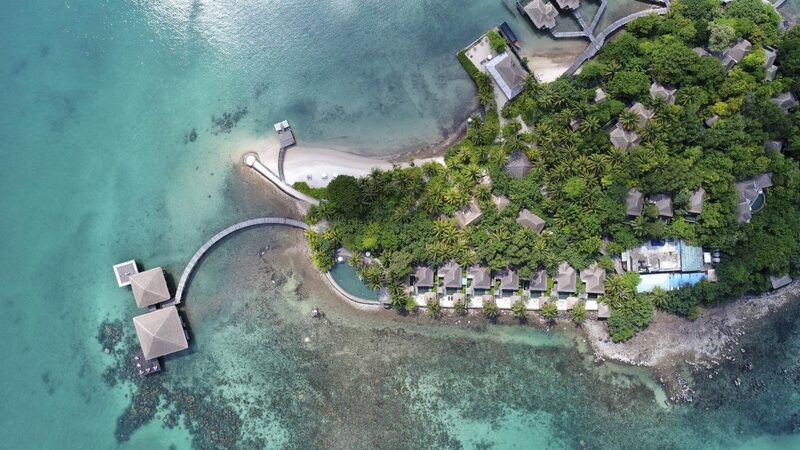 This place consists of mountains, beach and the reef. You could wake up in the early morning, book a tuk-tuk – a highlighted transportation for the pristine life in this region – to go to the foot of the mountain. Upon the top of the mountain comes a glorious scenery ever. At this position, you can see the sun rising gradually as if it were right in front of you. It is also interesting to try various kinds of food here. Quan Lan is surrounded by the sea, so seafood is the indispensable source for tourists to try. We highly recommend you to choose La Paloma Hotel as a place to stay and enjoy the food specialties here as they serve the best and qualified ingredients from the sea. Making a campfire, enjoying yourself at a barbecue party and gathering together with your families or friends on the beach is the best thing to experience here. From Quan Lan, you can book a limousine to depart from Van Don port right to the center of Ninh Binh. 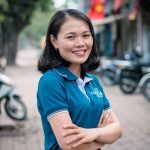 Or if you want to challenge yourself by self-driving, you can come back to Hanoi and hire a car or motorbike. If you are a good and careful driver, you should choose this way, as you and your family, or your friends, will not be time-restricted during your stay there. Ninh Binh just about 100 kilometers to the south of Hanoi. It significantly boasts of the most majestic and impressive natural landscapes in Southeast Asia. If you are a fan of nature discovery, don’t forget to include Ninh Binh to your holiday in Vietnam. 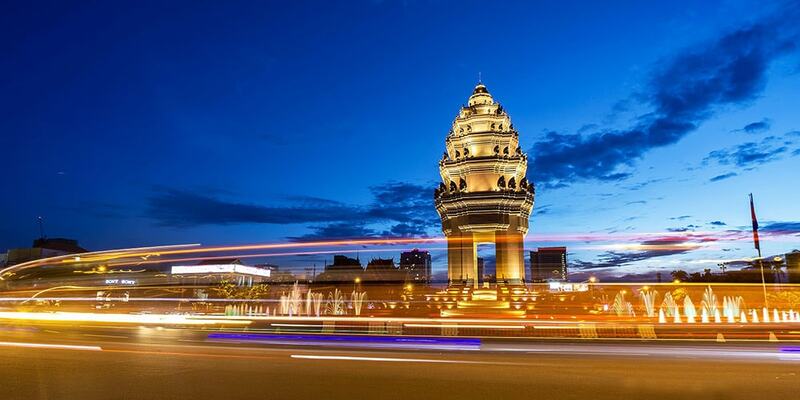 Bai Dinh pagoda is recognized as Southeast Asia’s largest Buddhist complex. Built in 2003, Bai Dinh now still remains its nostalgia over time. Not only does it offer breathtaking views from the top of the surrounding mountains and rivers, but you could also have chances to participate in various festivals during your exploration here, which frequently take place between February and March. 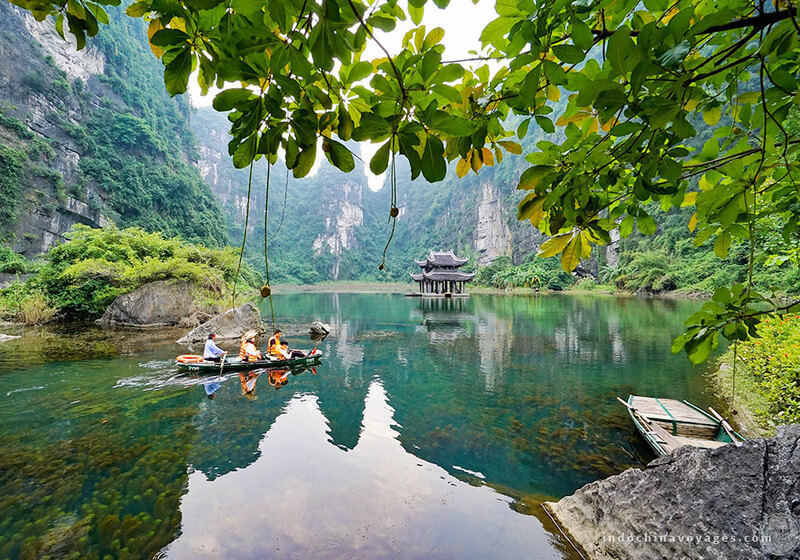 Trang An Grottoes is one of the incredible destinations for tourists all over the world. It is the combination of hundreds of majestic limestone cliffs emerging from the ground scattered, which is so-called “Halong Bay inland”. Trang An, according to a journalist, have the capacity of recapturing the peaceful life of Vietnamese people. You can book yourself a four-hour rowboat tour to discover marvelous river caves and stunning scenery. If Trang An Grottoes gives you the feeling of nature, Tam Coc – Bich Dong will bring you the new sense of blending yourself in a line of outstanding paddy fields during bumper harvesting seasons. Supposing you are visiting Tam Coc in the summer, where every farmer is working hard to collect crops (rice) from the field, then you will completely catch the moment of the mental work’s beauty. c. What food specialties are well-known in Ninh Binh? 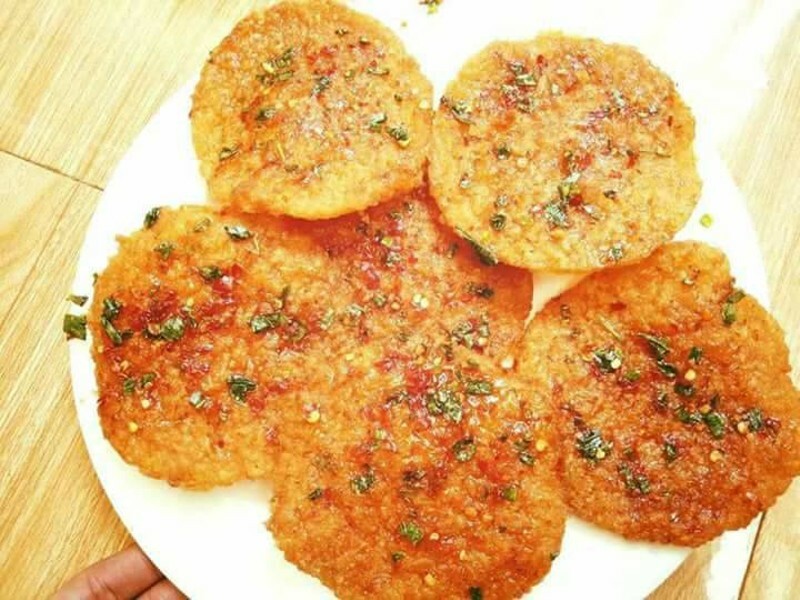 Com Chay (Vietnamese Crispy Rice) and Goat Meat have been long-standing traditional food of Ninh Binh. Your discovery would not be perfect if you skip trying the best tasty cuisine here. Each bowl of ‘com chay’ is perfectly mixed with the addictive flavor of the meat and the freshness of vegetables. These all can wake your taste up. Returning Hanoi (from Ninh Binh), you can easily book a plane ticket departing from Noi Bai International Airport to Angkor International Airport, which is right to the south of Vietnam. It takes about 2 hours to get there. Cambodia is not only one of the member countries within Indochina areas but also the neighboring nation to the south of Vietnam, therefore, you will find no difficulty in moving from the former to the latter countries. Let’s check out the two-day Cambodia tour guidance in these destinations! In the heart of Cambodia (Siem Reap province) lies the most wonderful temple complex in the world, known as Angkor Wat. This construction is the combination of the ancient and the modern design, of temple-mountain and galleried temple architecture. Spending one day exploring its mysterious and majestic layout is a worthy experience for you during your five-day itinerary. Angkor Wat owns itself a thick base of history. 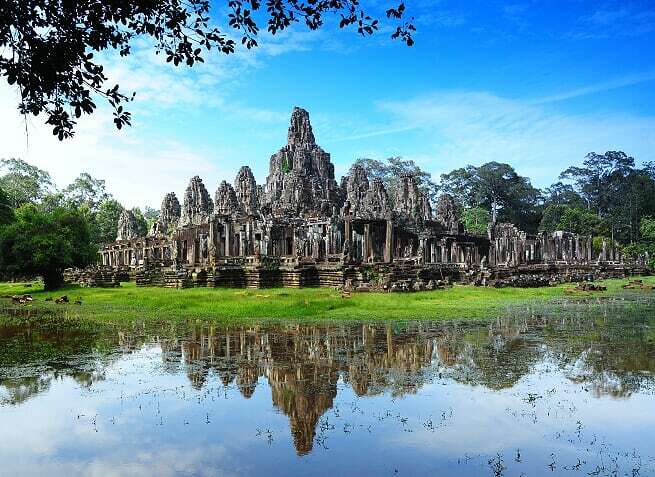 The ancient site was put into construction between 800 and 100 AD by the Khmer residents. The temple attracts tourists because of its complicated design and extraordinary orientation with the Earth. 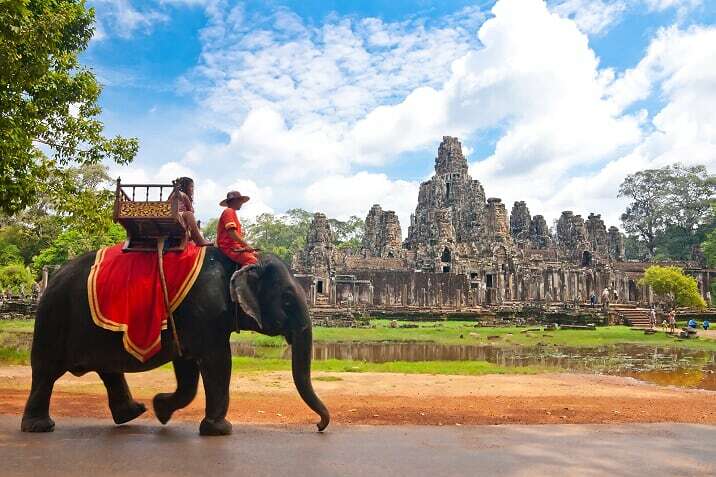 The temples of Angkor Wat makes tourists amazed in different ways. You can enjoy the natural spectacle – orange morning sky by waking up early in the morning and climbing up to the highest point of the complex. Along with the unique architecture, the mixture of internal energy, animals nearby and humans there give to that place a miraculous atmosphere. If you are the person who enjoys discovering the distinguished features of various religions, especially Buddhism, Angkor National Museum will be the best choice for you. This place provides various interesting background information about the lifestyles, the social features and distinguishes cultures of Khmer civilization. Angkor artifacts have so far attracted the artistic eyesight of international tourist right after they take their first step here. 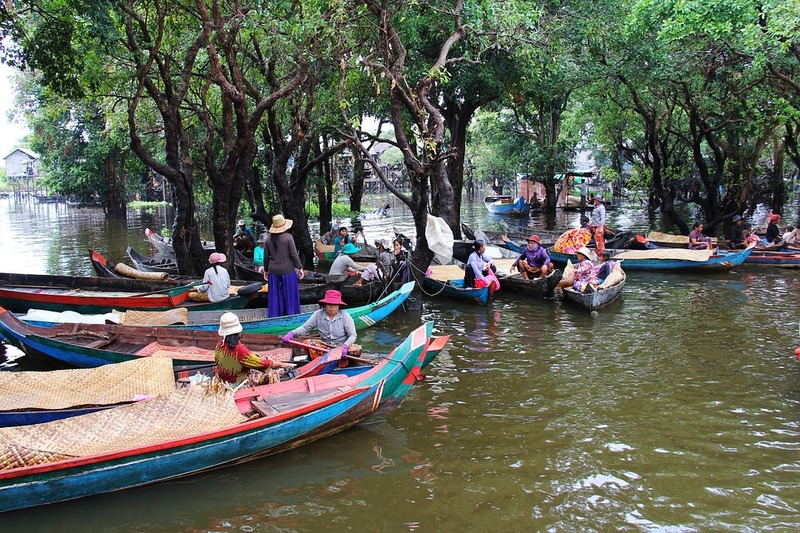 Just about 30 minutes driving from Angkor Wat, you will have a chance to deepen yourself into the poetic scenery of Tonle Sap Lake and the floating village – Kompong Phluk. This great lake is surrounded by five provinces, and is also the inhabitant of more than three million residents here, while Kompong Phluk – the outskirt of Siem Reap – holds the significant role in being the home of more than 3000 people, earning their living by fishing and tourism. Let’s join us to drawing out the itinerary for one-day experience in those two famous places! 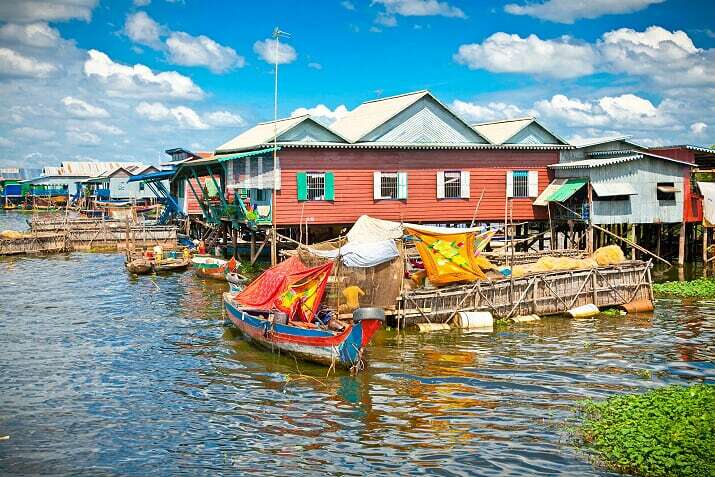 Getting up early in the morning and booking yourself a half-day boat tour to discover Kompong Phluk, you will realize the realistic beauty of the working class here. Early morning is the time when everyone here wakes up and prepares for a new day. There are lamps scattered in those houses within the floating village. There are also the images of children who are yawning here and there, yet the smiles have always been stand-still on their faces. If possible, you can ask to join one family to see how they catch fish, bring it to the small market nearby. After half a day following the residents, you are recommended to try some of the special food there in Samros Kompong Phluk Restaurant, which is highly rated by the majority of the visitors. After the lunch break, you can choose to stay here to continue experiencing the life cycle here. Otherwise, you can ask the boatman to sail around Tonle Sap Lake and enjoy the romantic and peaceful sunset sight. Just imagine you are sitting on the boat, your hands are holding the camera to catch the once-in-the-blue-moon moment that nature is giving to you, surrounding is the majestic beauty of the scenery. This is the best moment to end up your five-day Vietnam Cambodia itinerary. The most interesting that you should never forget while visiting Cambodia is to try its distinguished cuisines. A bunch of restaurant spreading with hundreds of local dishes are always ready to serve newcomers. Here come Chicken and banana flower salad, Khmer Curry and Green mango salad. 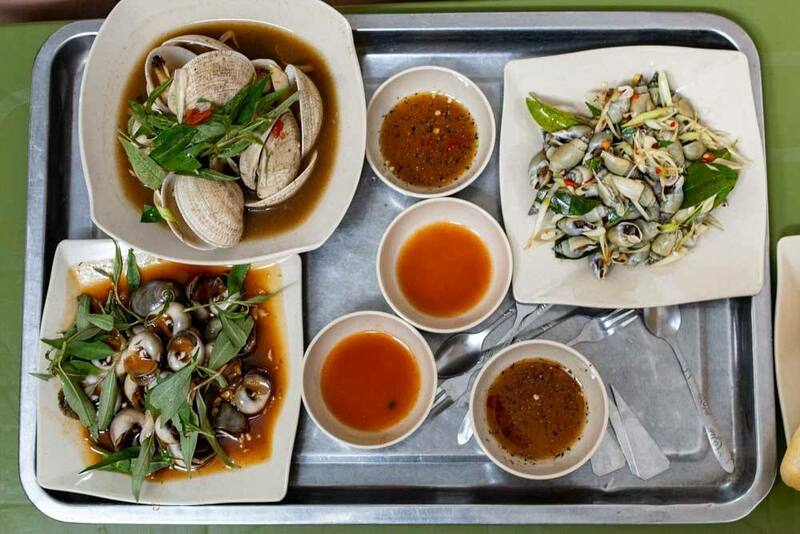 One of the best dishes that you can easily found in Siem Reap, (the place comprises of Angkor Wat complex), is Fish Amok. This cuisine is made of fish, lemongrass, chili, turmeric, coconut milk fresh fish. Those ingredients are carefully chosen and stored, ensuring the high quality of the dish. It is covered in a green banana leaf, together with rice and a plate of the sunshine fried egg. Try once and you’ll never regret! If you are still questioning yourself: “When is the best time to travel to the two countries?” Then, summer holiday is considered as the most ideal period of time that you can go and enjoy, as most of the tourist destination in the two countries is water-based. 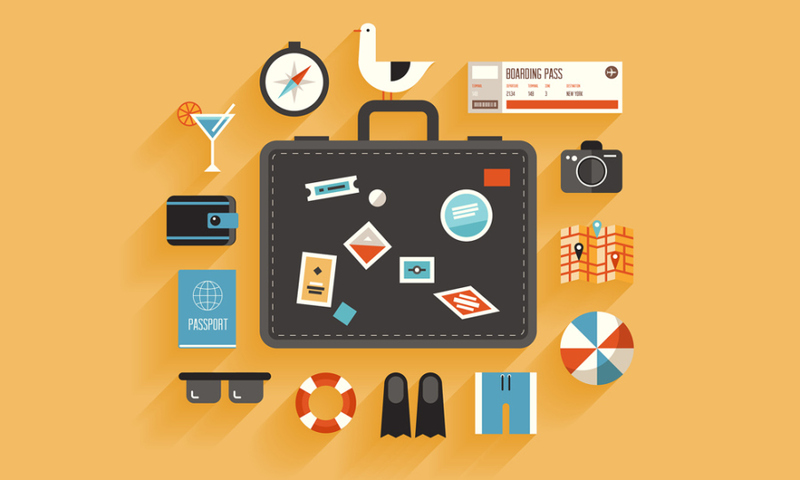 “What should I bring with me?” – Of course, you will collect some of the useful things for yourself already before the trip. We also suggest you bring a camera, swimsuit, hat and sunglasses, suncream, etc. 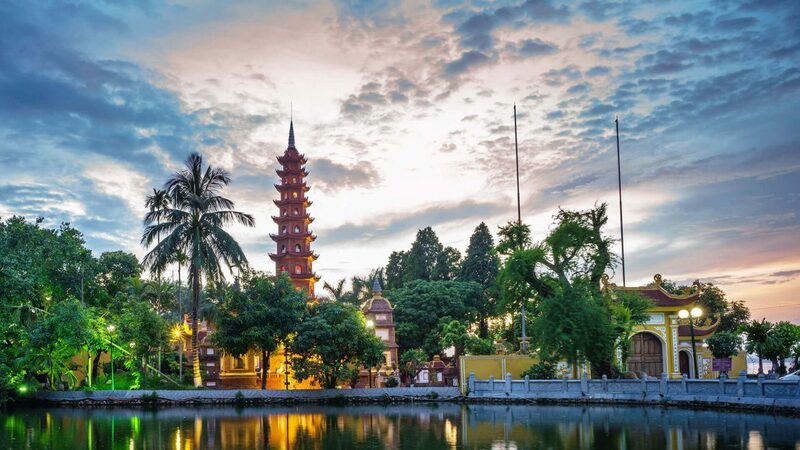 in case the weather may be too sunny for you to get used to during your enjoyment of Vietnam best itinerary combining with Cambodia tour guidance that we have provided. “If I want to hire car or motorbike, who can I contact with?” – As soon as arriving at Hanoi, you can contact any vehicle-lending shops to take one with you, as long as you let them keep your ID card, passport or driving license. For more information, do not hesitate to message us! What a wonderful escaping plan for you to do during your holiday! Just pick up your luggage and we will take care of the rest of the journey! 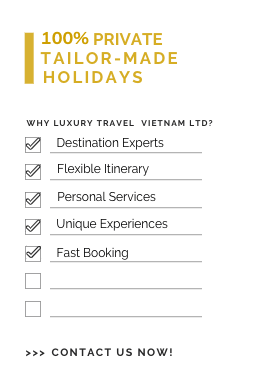 Luxury Travel LTD. has been turning into 15 years old in travel industry sector within Vietnam and other Southeast Asian countries. With the prior experiences from the young and potential staff, we believe that when choosing our tour packages, you will feel nothing except pleasant, satisfaction, happiness and enjoyment. Because of those reasons, Tour Vietnam – Cambodia tour package will be the most reasonable choice for you. Let us be a part of your memorable vacation in Vietnam and Cambodia!